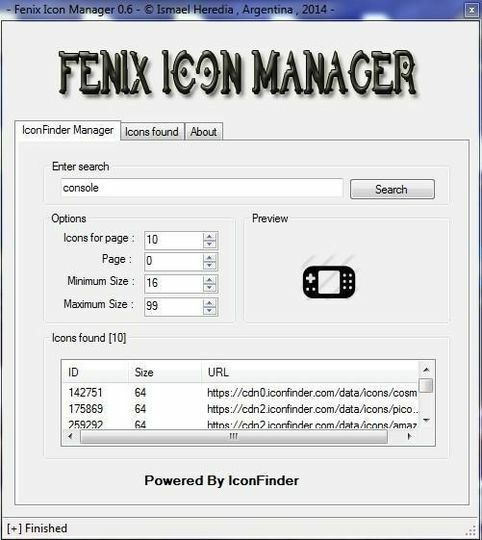 Fenix Icon Manager is a tool that can search for icons online that you can use. It mines the icons from online sources that have thousands upon thousands of them available. You can preview the icons and download them if they suit your needs.